“Prevention is better than a cure” is not an uncommon expression and this is especially true when it comes to your general health and your teeth. Preventative Dentistry is all about keeping your mouth healthy which means you will have less need for lengthy and costly dental treatment down the track. Whilst you may think that regular brushing and flossing at home are enough prevention, you would be surprised that you are most likely missing those areas below the gum line, inside the fine ridges on surfaces and in between your teeth. Patients are often alarmed when we show them the tartar buildup behind their lower front teeth despite their diligent brushing. This is why routine checkups and cleans are vital for your continued oral health. Health Funds also value Preventative Dentistry and most cover their members for one or two per year to avoid paying out on more expensive treatment later! Finding a dentist in Toorak that you feel comfortable with and trust is the first step. If your dentist is a Members Choice dentist for your fund you will enjoy maximum rebates on your treatment. Also, finding a dentist that offers preventative treatment in Toorak with no out of pocket expenses (this is called No Gap) is a great way to maintain your oral health with no extra cost to you. Preventative care revolves around avoiding tooth loss caused by gum disease and tooth decay. Once preventative measures have been put in place then you can expect your teeth to last a lot longer than if you leave them to their own devices. The most important thing to do is to work closely with your Melbourne dentist to determine what preventative treatment best suits your situation. It doesn’t matter how many teeth you have, further tooth decay and tooth loss are preventable. When you attend an appointment with your Toorak dentist, treatment might be necessary at first before a preventative program can commence. This is to ensure that your teeth and mouth are as healthy as they can be so that it is easier to prevent gum disease or decay in the long term. Your dentist will make sure that your fillings are in good condition and will also, if necessary, recommend treatment if a tooth requires strengthening because it is cracked, or is weak and may break. It may be of use for your dentist to undertake deep cleaning, scaling or root planning, which removes all the plaque and cleans the roots too. A filling in one or more of your teeth may need to be upgraded or an onlay or crown fitted in place for that added protection. Once your dentist has restored your teeth so that they can provide maximum use then the ball is in your court when it comes to keeping them that way. First of all your dentist in Toorak will show you how to brush and thoroughly clean in between your teeth through the use of interdental brushes or floss which removes the bacteria forming plaque which constantly attempts to damage your teeth. When you drink or eat food that contains sugar, the bacteria present in the plaque transform the sugar into acid, which could cause the onset of tooth decay. Plaque may also cause the gums to become inflamed if it is not removed at regular intervals. What you put in your mouth can affect your teeth later in life as much as it can the next day. Modifying your diet to help to stop teeth damage is also important as a preventative measure, as is considering how much you drink or smoke. Foods such as cheese, fruit, nuts and vegetables are better for your teeth than sugar based food and sugary soft drinks. Smoking can cause the teeth to become stained and could worsen gum disease. If you are a smoker, you may need to visit your dentist in Toorak more often, but the best advice is to try to give up the habit. Some alcoholic drinks contain a large amount of sugar, and some mixer drinks could contain acids. This substance can cause dental erosion which is when tooth enamel is lost due to attack by acids and is caused by foods and drink that contain a significant amount of acid, including citrus fruits, smoothies, fizzy drinks, fruit teas and fruit juice. Loss of enamel can also cause sensitivity to the teeth. At Simply Smiles Dental, we believe that dentistry is not a luxury, and that everybody deserves to smile. That’s why we keep our prices fair and offer solutions to suit every budget. 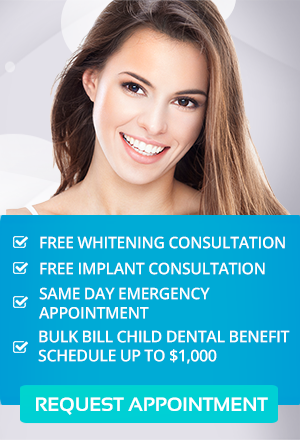 As a Members Choice dentist for Medibank and HCF, we can offer maximum rebates on all dental treatment for members.